Airbus A320-211 EK32007 (c/n 726) is seen on final approach into Amsterdam IAP ((08Aug04). 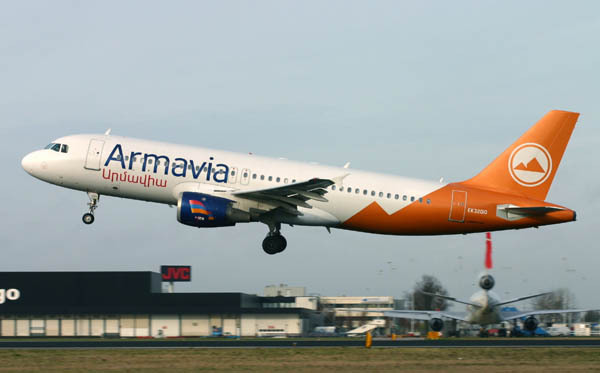 As a relative newcomer, this livery did not have the chance to get boring as during late 2004 the new liveries started to appear. 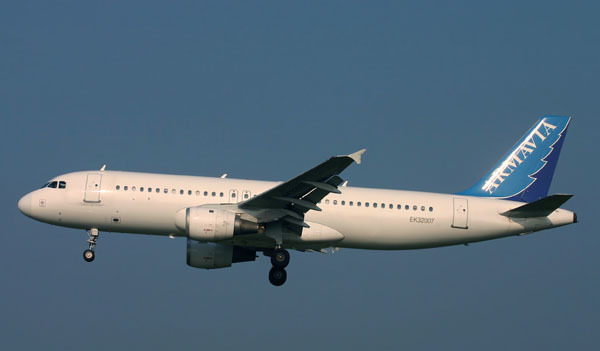 Airbus A320-211 EK32010 (c/n 632) is seen departing Amsterdam IAP (09Jan05) with a good looking new livery.